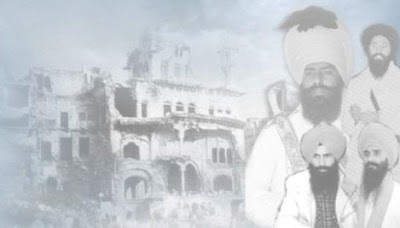 Since the inception of the Sikh faith by Guru Nanak Dev Ji, Sikhs have been persecuted. Persecution, torture and selfless sacrifice are something that our Gurus have taught us to live by and to endure when necessary. When the time comes to stand for truth, freedom, justice, honour and protection – regardless of the outcome Sikhs should stand firm to their beliefs and should not flinch when carrying out righteous acts. It is for these reasons that in this section you will be able to learn about the fearless lions that fought the tyrants of pre-1984 and post-1984. The biographies and stories you shall read about these freedom fighters are true actions and have not been glorified or exaggerated. We hope they inspire you as they inspired us.